Samsung had introduced the Galaxy S Duos last month. 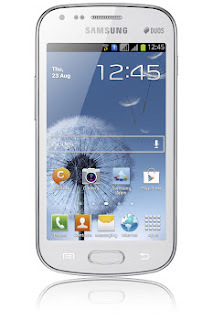 The Galaxy S Duos design is inspired by the recently launched Samsung Galaxy S III. The device measures 63.1 x 121.5 x 10.5mm and weighs 120g. The S Duos has 'dual SIM always on' feature, which allows you to receive calls on one SIM number while taking a call from the other. The S Duos runs on Android 4.0 Ice Cream Sandwich operating system and is powered by a 1GHz Cortex A5 processor. It has a 4.0-inch screen with 480x800 resolution. Other specifications of the device include 5MP camera, VGA front camera, 4GB of built-in storage, 32GB microSD card slot, 512MB of RAM and 1,500 mAh battery. For connectivity, the device supports Wi-Fi, Bluetooth, USB 2.0. The device comes preloaded with Samsung's ChatOn communication services. Check out the full specifications of the device here. Samsung's Galaxy Y Duos Lite was recently spotted on the company's official e-store, where it was available for pre-order with an advance payment of Rs. 1,000. The device is now up for grabs via the e-store. 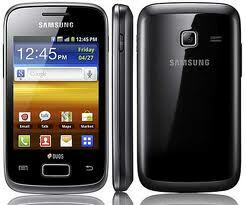 The Galaxy Y Duos Lite, also known as the Galaxy Pocket Duos outside India, is pretty similar to the Galaxy Pocket. Like the S Duos, the Samsung Galaxy Y Duos Lite supports dual active SIM (GSM + GSM). The device runs on Android 2.3 Gingerbread operating system and is powered by an 832MHz processor. The device has 2.8-inch touch display with 240x320 pixels resolution. Other specifications include 2MP camera, built-in storage of 4GB (3GB user available), microSD card slot, and a 1,200 mAh battery. For connectivity, the device supports Bluetooth, USB 2.0, and Wi-Fi. You can read full specifications of the device here. Samsung is also offering the buyers of Galaxy Y Duos Lite a 'Smart Deal' of 1GB 3G data or unlimited 2G data free per month for six months from Reliance Communications. Sounds like a much better deal than the new iphone. I'm tired of all the hype.